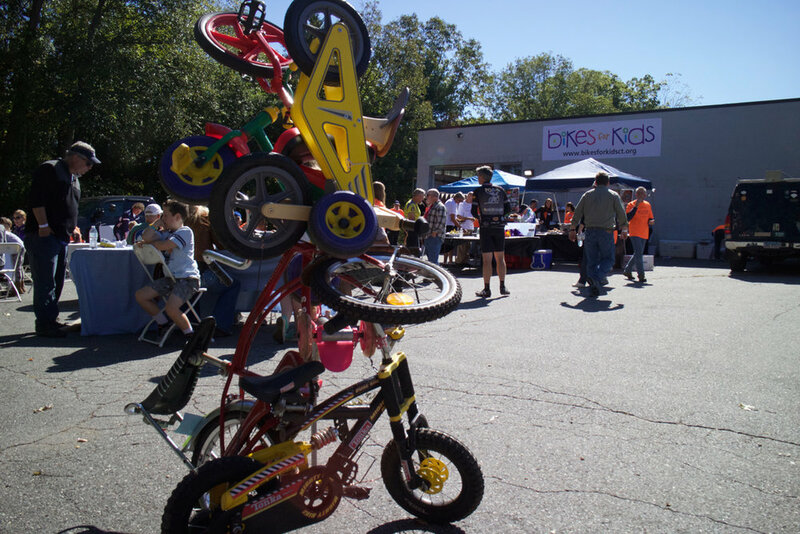 Bikes for Kids appreciates donations of gently used bike(s). Bikes can be brought to The Wheelhouse and left in the bike rack to the right of the door. Please leave a note/tag with your name and address so we can send a confirmation of receipt for tax purposes. On Thursdays, between 9–12 or 6–7:30, there will be folks on hand who can help unload. If you have no way to deliver a bike, and we have a volunteer in your area, we can make arrangements for a pick up. Just call The Wheelhouse at 860-388-BIKE (2453). We will refurbish banana seat bikes and other antique bikes for display, PR and parades. Although a rusty bike may prevent us from giving it away, we may be able to use several parts off it or use it for scrap. So, when cleaning out the garage this spring and you come across bikes you no longer need, please keep Bikes for Kids in mind! We will be happy to restore them and send them along to someone in need.